The attempt to manipulate the feed to increase the production of livestock is the thing that we often find. Giving Coleus amboinicus Lour in the ration is believed to increase milk production in the lactating parent. Increased milk production will increase the body weight of children who are breastfeeding. Increasing the child’s body weight during this suckling period will increase the income of the farm without having to rely on pig feed suppliers. Breastfeeding pigs have an important role in pig farming. That is to produce quality pigs. The quality of mothers suckling pig can be seen from its appearance. Mother of breastfeeding pigs can be seen from the amount of ration consumption, milk production of the mother, litter size born, litter size weaning and child mortality. Increasing the appearance of broodstocks in general will improve the appearance of piglets. The use of probiotic substances in the ration is necessary to improve the efficiency of feed use. Also, anticipate against environmental pollution by the smell of dirt and can reduce pollution in the environment. Often happens the mother fell ill or died at the time of delivery. So that their children can not take care of anymore. If there is an event like this then the farmer must be able to overcome or provide help. Given cow’s milk. In this way, piglets are usually not much help because the milk cow’s milk is different. Piglets can be entrusted to a parent with a child of the same age as the child to be entrusted. This method usually also get into trouble, because the mother of pigs can easily distinguish their own children and child entrusted. So that piglets from outside are always hostile. The piglets from another parent, before being put into the new mother pen, must first be mixed with the children themselves in one box. For the smell to be the same. Piglets from other mothers or their own children are given the same odors, for example by giving kerosene or eucalyptus oil. Applied on the face. In this way, they usually can easily be accepted by the new parent who will nurture. Livestock needs energy and protein for growth, basic life or other functions. Livestock’s ability to digest food. The amount of food lost through the metabolic process. 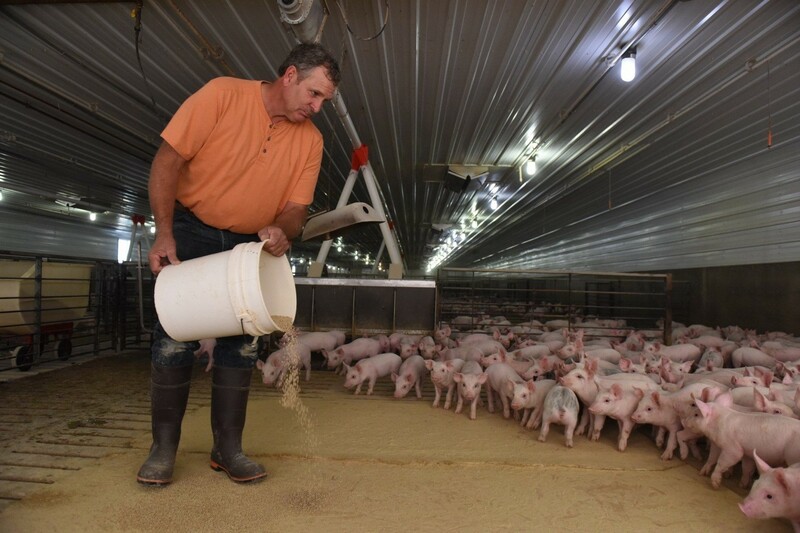 Some of the factors we should consider in setting up a pig ration are its availability in the field. In the easy sense to get it. The content of food substances is sufficient for the needs of pigs, economical and efficient in digesting the ingredients we provide feed. Protein content (amino acids) optimal ration in pig ration should also pay attention to its energy content. This is because a certain amount of energy they need per gram of protein. Thus the protein can be efficient for growth, the need for livestock of growing pigs with weight 35-60 kg is 0.61%.